Flip a coin until you get tails. This attack does 20 hit points times the number of heads. 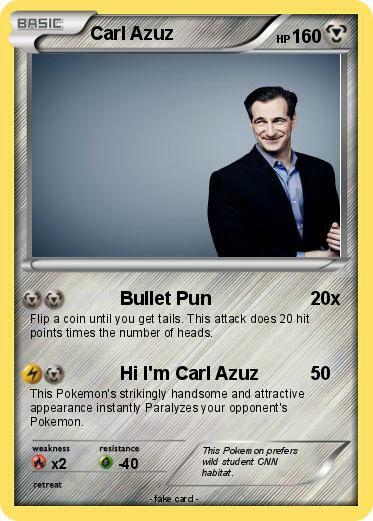 This Pokemon's strikingly handsome and attractive appearance instantly Paralyzes your opponent's Pokemon. Comments : This Pokemon prefers wild student CNN habitat.